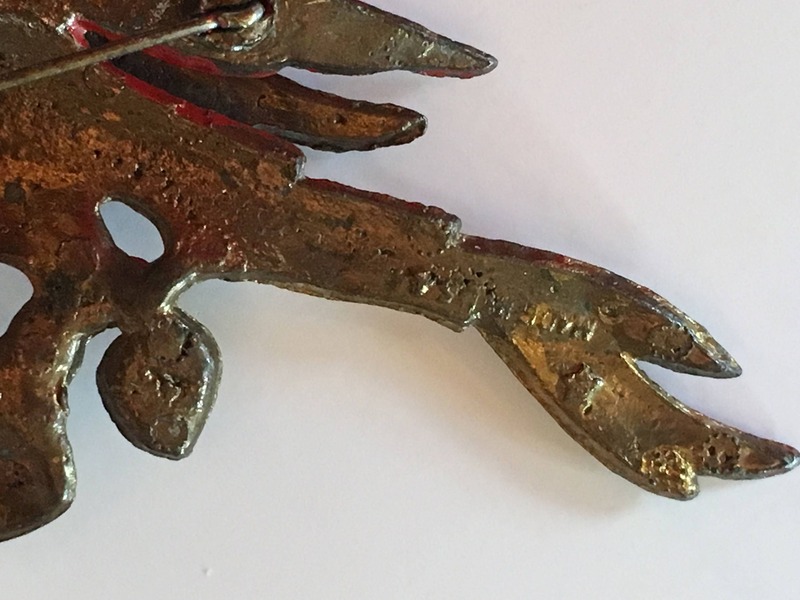 Jose Rodriguez Enamel Parrot on a branch Brooch. 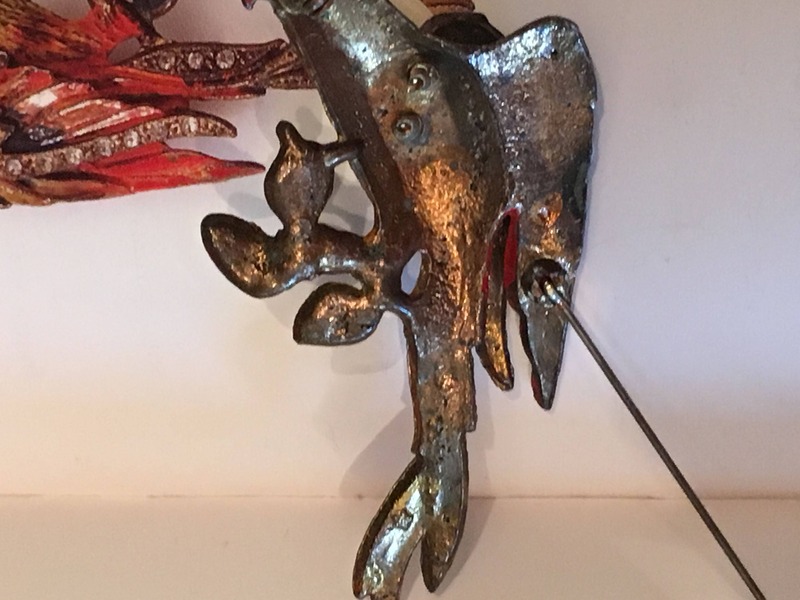 Pot metal, red, yellow, and green enamel with Rhinestone accents. 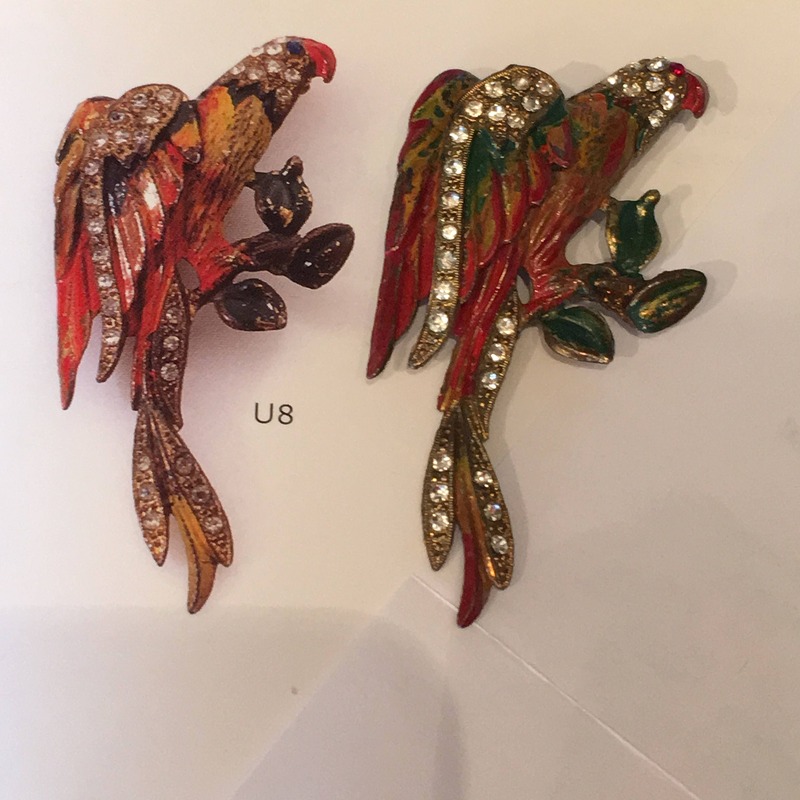 This is a Book Piece as shown, the Brunialti American Costume Jewelry book. Signed Made in the USA as shown in the photograph, book reference is also included in photos. 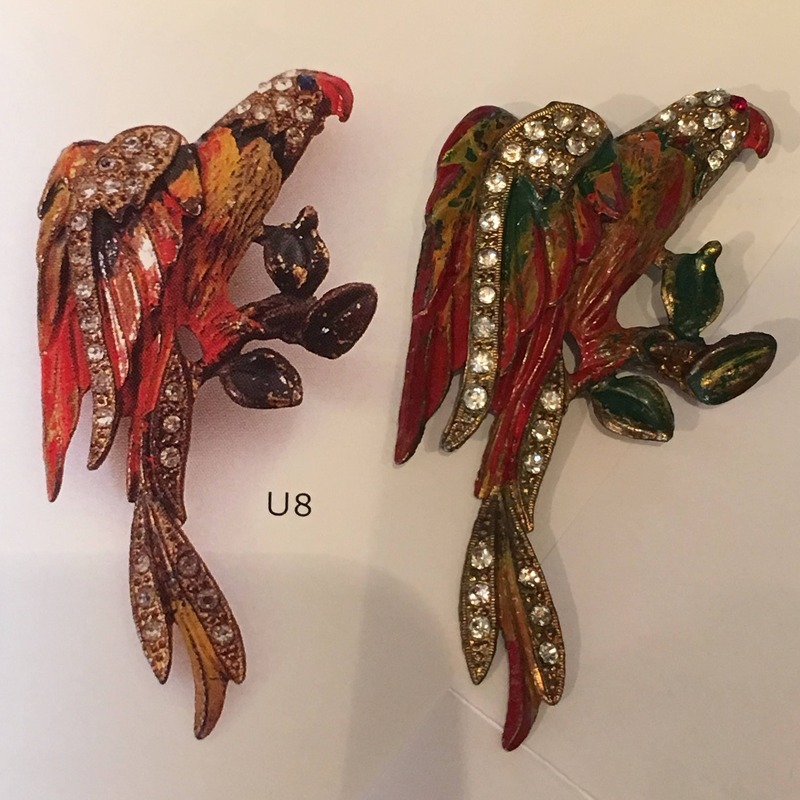 Please note the photo of the Brooch is next to the photo from the book, the actual brooch is the one on the RIGHT, there has been confusion as the photo makes them both look real. Lovely brooch is lovely as found original Vintage condition. 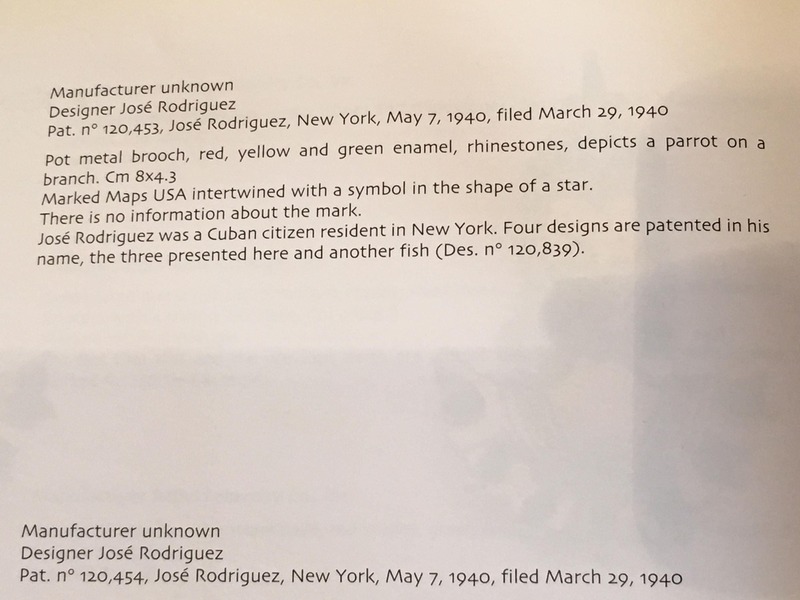 Design patent included in the photos.